The Brevard College Theatre Studies Department will present the winner of the 2008 Keene Prize for Literature, Elephant’s Graveyard by George Brant, October 3 – 6 in the Morrison Playhouse of the College’s Porter Center for Performing Arts. Elephant’s Graveyard is based on the true story of the 1916 Elephant hanging in Erwin, Tennessee. When a traveling circus comes to a sullen town consumed by mud, it is thought to be a typical stop for the group. A man is killed, and the circus and town are forced to face a number of moral issues. While the show has a distinctly circus-like atmosphere, the subject matter is aimed towards adults, and viewer discretion is advised. Directed by Brandon Smith, this play will feature BC Theatre new-comers Mary Flynn, Logan Taylor, Josh Goldstien, Curtis Duncan, Alex Webster, and Marissa Burdette . This show will also welcome back to the stage actors Raquan Edwards, Addison Dent, Blake Ellege, Therman Elkins, Alisha Carland, Hannah Leonard, Andrew Gunnin, and Mallory Ringenbach. The production also features scenic and lighting designs from visiting Assistant Professor of Theatre Studies Andrea Boccanfuso, and also welcomes back Ida Bostian for costume design. The production will be entered into the Kennedy Center’s American College Theatre Festival as an associate production. There will be circus concessions available at the show, which will run approximately 75 minutes with no intermission. Show times are 7 p.m. October 3-5 as well as a Sunday matinee at 2:30 p.m. on October 6. Tickets for the production are $5 and are available at Rockin’ Robin in Brevard, on Etix.com, and at the doors 30 minutes before each performance. Seating is general admission, so please plan to arrive early. 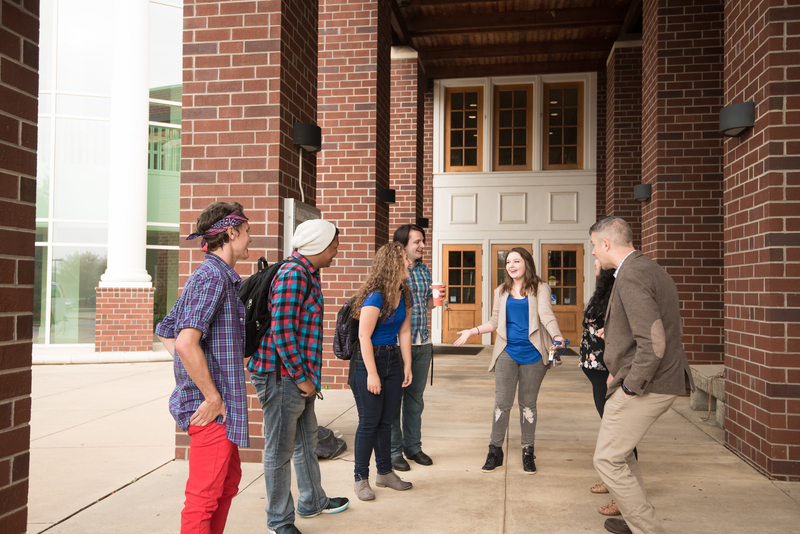 Any questions may be directed to Assistant Professor of Theatre Studies Brandon Smith at smithbm@brevard.edu.